Ginger and I have gotten into the habit of having our date night and dinner together while watching Sherlock Holmes. On Saturday night usually once every several weeks, we decided to watch the adventures of the Consulting Detective. 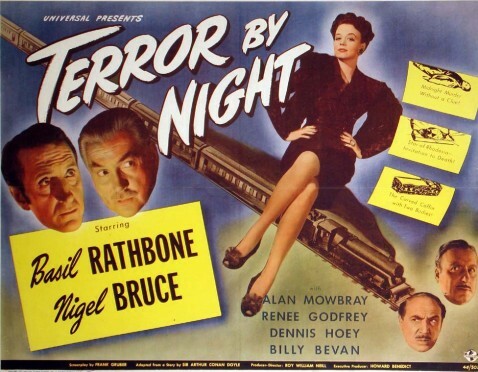 Last Saturday evening, we watched another film noir of Sherlock Holmes in Terror by Night. After our dinner, we settled back and began to enjoy the dynamic duo of decades past—a distant past of over seven decades ago. Terror by Night came out in 1946. Those, in the literary world, are quick to point out that Arthur Conan Doyle didn’t actually write Terror by Night, but it is a completion of several of his works mulled together. . The storyline is that Lady Margaret Carstairs is taking a large diamond called Star of Rhodesia to Edinburgh, Scotland by train from London. Ginger’s ears perked up when she heard that Lady Margaret mentioned Edinburgh and commented, “That’s where you lived for a while, wasn’t it? It was after you returned to the States that you got my predecessor, Ginger I.” To which I replied that after getting a job and a house, I got my first Ginger. Lady Margaret was a bit of an uppity Brit and showed the Star of Rhodesia to Sherlock Holmes, who was guarding it. As the two of them discussed the diamond, I noticed for the first time that it was then that Sherlock Holmes switched the Star of Rhodesia for a fake diamond. I had seen this movie many decades ago and missed the switch. I told Ginger to watch carefully what Sherlock Holmes was doing before returning the Star of Rhodesia to her. However, Lady Margaret’s son was killed while the train sped northward to Edinburgh. 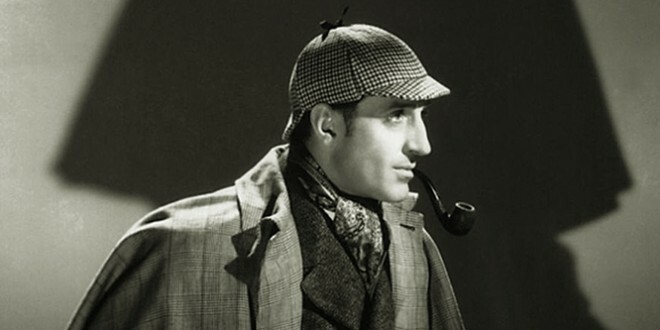 Therefore, Sherlock Holmes and Inspector Lestrade tried to determine who had killed him. There is a limited number of people in that passenger car of the train. The three serious suspects are Vivian Vedder, Major Duncan-Bleek, and Professor Kilbane. 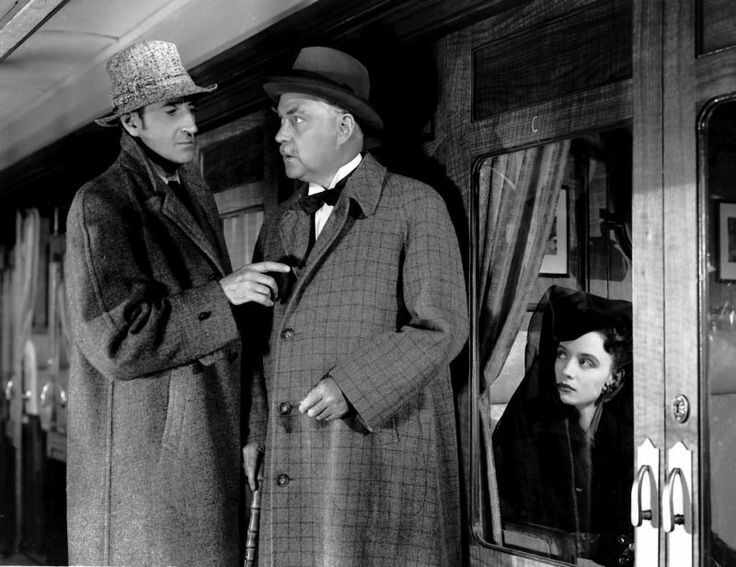 As the movie progressed, Vivian Vedder told Sherlock Holmes that she was hired to bring a casket on the train. Allegedly, her mother was inside, but her mother wasn’t. Major Duncan-Bleek wanted to steal the Star of Rhodesia and had his accomplice hide inside the casket with the diamond. However, Vivian Vedder wasn’t aware of the plot. All she was doing was bringing her deceased mother to Edinburgh. As the story unfolded, Major Duncan-Bleek was really Sebastian Moran a colleague of Professor Moriarty. Both Moran and Moriarty were nemeses of Holmes. I agreed but asked her what she took away from the movie. All that I added is that we need to follow his lead in our own lives. Plan and think ahead. This is the video of Terror by Night.